Direct Object And Indirect Object Pronouns. Today we are going to learn about European Portuguese pronouns, or in other words Direct Object and Indirect Object Pronouns. What if I told you there are ways for you to make your speech to sound more fluent and appealing, when you speak Portuguese? If I told you that those ways are just small two- or three-letter words, you may not believe. Check out this page to understand the European Portuguese Pronouns. You may have already noticed that when Portuguese speakers talk to each other, they use certain words like "a", "lo", "la", "lhe", etc, after of before a certain verb which make their message to be expressed much easier and much quicker? Those words are what we call European Portuguese Pronouns, and they exist to replace other words (names or nouns). 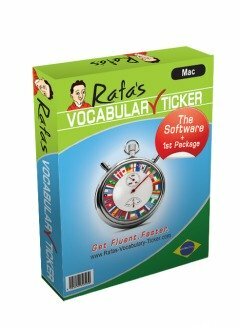 If you are mastering your language skills with the tool I have created to learn Portuguese - Rafa's Vocabulary Ticker - you may have come across with expressions like "Prazer em conhecê-lo" for instance. The word "lo" is a Portuguese pronoun that when used, makes your conversation sound more natural and more fluent, and at the same time it breaks the boredom of repetition and redundancy. I know, it's a buzz word. You may not like these terms (and I don't feel them very attractive either, to be honest), but the truth is, if you grasp the concept, you can start using these little words in Portuguese with ease. For instance when you are introduced to somebody by a friend, you may have learned that you must say "Prazer em conhecê-lo" (if you are talking to a man) or "Prazer em conhecê-la" (if you are talking to a woman) or even "Prazer em conhecê-los" if you are being introduced to a group of people (males and females all together) - to just say "Pleased to meet you". But the question here is: What do these European Portuguese pronouns like "lo", "la", "los" really mean? And how can I use them? As I said before, these little words in grammar terms are called "Pronouns", and a pronoun is no more than a word that REPLACES a noun or a name. Exactly! When you say in English "Pleased to meet YOU", the word "YOU" is no more than a pronoun that replaces the name of a certain person - be it Peter, Joseph, Rafa, Maria, etc. There are many types of European Portuguese pronouns. There are Personal Pronouns, Reflexive Pronouns, Direct Object Pronouns, Indirect Object Pronouns, etc. Today we are going to concentrate our focus on the latter ones only - the Direct Object Pronouns and Indirect Object Pronouns. 3. What modifications (if any) shall both, the European Portuguese pronoun and the verb suffer. On the other hand, Indirect Object Pronouns (or in Portuguese "Pronomes de Complemento Indireto") are words that reply to the questions "A QUEM?" or "PARA QUEM" - "TO/FOR WHOM?" O.K. Do you understand it so far? When you carry on with your conversation you may say "Sometimes, I see HER three times a week". In this second sentence, you don't need to say "Maria" again, because everybody knows WHO you are talking about, so in Portuguese you say "Às vezes eu vejo-A três vezes por semana. You see, here you are replacing the name Maria by the European Portuguese pronoun "a", which means "her". And "HER" answers the question "WHO?". If you were talking about an object instead of a person, you'd be asking the question "WHAT?" - What do I see three times a week? Do you get this? Interesting isn't it? "O", which corresponds to "HIM" or "IT" when an object is masculine. "A", which corresponds to "HER" or "IT" when an object is feminine. "NOS", which corresponds to "US". "OS", which corresponds to a masculine "THEM", be it people or objects. "AS", which also corresponds to a feminine "THEM" in English, be it people or objects. Because you need to apply some rules under the usage of these European Portuguese pronouns we shall see next how we can apply them. 1. The pronoun comes after the verb separated by an hyphen in EU Portuguese - e.g. Eu como O BOLO todo (I eat all THE CAKE) -> "Eu como-O todo". a) Adverbs like "também", "sempre", "já", "ainda", etc., e.g. "Eu também comi O BOLO." -> "Eu também O comi." (here the word "o" means "it" (o bolo) as a masculine object). b) A negative statement, e.g. "Ele não come O BOLO" -> "Ele não O come." d) Relative pronouns (words you would normally use to ask questions, but which you can use in statements as well. e.g. "QUE" (who, that, which, whom), "QUANDO" (when), "ONDE" (where), etc, e.g. Ele disse que comeu o bolo todo - Ele disse que o comeu todo - He said he ate it all. e) Prepositions (small linking words like "de", "para", "por", "em", "até", etc.) e.g. "Ela gosta DE beber O CAFÉ com leite." (She likes to drink the coffee with milk) -> "Ela gosta de O beber com leite. "(She likes drinking IT with milk). 3. If the verb you are using ends with the letters S, Z, or R, the last letters of the verb - S, Z or R - fall and you ad an L to the pronouns "o" "a", "os" "as". e.g. "Tu comeS o bolo todo" (You eat all the cake) -> "Tu come-lo todo" (You eat it all). a) When does a verb end with "S"? - When you use the persons "Tu" and "Nós" in the present tense, for instance. E.g. Nós chamamos o Manuel. -> Nós chamamo-lo. b) When does a verb end with "Z"? - Only irregular verbs like Trazer, Fazer, end with "Z"in the 3rd person. E.g. "Ele traz o carro hoje. "-> Ele trá-lo hoje. In this case, we need to place an accent on the "á" because the original word has its phonetic stress on the last syllable because of the "Z", so we need to keep the stress where it was originally. c) When does a verb end with "R"? Always when it's in its infinite form e.g. comer, falar, beber, fazer, etc.. A verb will likely be in its infinitive form if this verb uses another verb as auxiliary, e.g. Eu vou COMER um bolo hoje; (I'm going TO EAT a cake today) -> Eu vou COMÊ-LO hoje (I'm going to eat IT today). Verbs in ER normally get a circumflex accent (^) on the last syllable, instead of an acute accent (´) because, as you know, any verb in its original infinitive form must be stressed in the last syllable because it end with an "R". 4. When the verb of your sentence ends with a nasal sound (always with the persons "eles", "elas", "vocês", "os senhores" and "as Senhoras") we need to keep the verb as it is and ad a "N" to the pronoun. E.g. "Eles bebem O VINHO todo", becomes "Eles bebem-NO todo". (They drink all the wine --> They drink IT all). And these are all the rules for this kind of European Portuguese pronouns. Obviously native speakers follow all these rules without realising them, but when we are learning a language I believe we need to know why things are said in a specific way. In any case, in order for you to do some practice, I'm going to ad a few examples and exercises here. The solutions are at the end of this page. So lets go for it, and do them now. 1. O empregado de mesa trouxe a conta. (The waiter brought the bill) --> O empregado de mesa trouxe-a (the waiter brought it). 2. Você já fez o jantar? (have you made the dinner?) --> Você já o fez? (Have you made it?) - please note that the adverb "já" requires the pronoun to be placed before the verb. 3. Não compre esse casaco (Don't buy that jacket) --> Não o compre (Don't buy it) - please note, the negative word "não" also requires the pronoun before the verb. 4. Ele disse-me que faria o trabalho. (He told me he would do the job) --> Ele disse-me que o faria. (He told me he would do it). 5. Ela precisa de comprar uma casa nova. (She needs to buy a new house) --> Ela precisa de a comprar nova. (She needs to buy it new). 6. Eu quero comprar um carro novo. (I want to buy a new car) --> Eu quero comprá-lo novo. (I want to buy it brand new) - please note that "comprar" is the main verb and it's in its infinitive form. 6. Ele faz o café muito bom. (He makes a very good coffee) --> Ele fá-lo muito bom (He makes it very good). 7. Eles trazem o Pedro à festa (They bring Pedro along to the party) --> Eles trazem-no à festa. (They bring him along to the party). - Here "trazem" has a nasal sound. 1. Eu vou preparar O JANTAR às sete da noite. -> Eu vou __________ _________ às sete da noite. 2. Não vi os seus óculos. --> Não _______ _______. 3. Eles compraram os bilhetes hoje --> Eles _________ ________ hoje. 4. Vocês convidaram a Maria e o Carlos? --> Vocês ______ ________? 5. Eu fechei as janelas todas --> Eu _________ _________ todas. 6. Ele põe os pratos na mesa. --> Ele ________ _______ na mesa. 7. Ela já leu o jornal? --> Ela já ______ ______? 8. Você quer fazer o exercício? --> Você _________ _______ _______? 9. O José comprou um presente ontem. --> O José _______ ______ ontem. 10. Nós vimos as meninas na festa. Nós ________ ________ na festa. Let's carry on with the explanation of the European Portuguese pronouns. A quem? / Para quem? - (To whom?) - Please note that if it is not possible to ask the verb the full question "TO WHOM", but only "Whom", the following pronouns DO NOT apply. The ones that apply are the ones above - Direct Object pronouns. "LHE", which corresponds to "TO HIM" or "TO IT" when an object is masculine. "LHE", which corresponds to "TO HER" or "TO IT" when an object is feminine. "NOS", which corresponds to "TO US". "LHES", which corresponds to a masculine "TO THEM", be it people or objects. "LHES", which also corresponds to a feminine "TO THEM" in English, be it people or objects. These European Portuguese pronouns, obey the same rules as the ones before, in terms of where they are placed in a sentence - BEFORE OR AFTER the verb. In other words, they normally come after the verb separated by a hyphen. 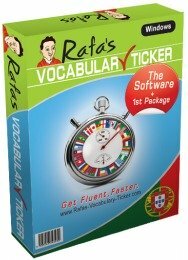 a) Adverbs like "também", "sempre", "já", "ainda", etc., e.g. "Eu também telefonei para O PAULO." -> "Eu também LHE telefonei." (here the word "LHE" means "TO HIM" (para o Paulo) as a masculine person). b) A negative statement, e.g. "Ele não telefona para o Paulo" -> "Ele não LHE telefona." d) Relative pronouns e.g. "QUE" (who, that, which, whom), "QUANDO" (when), "ONDE" (where), etc..
e) Prepositions like "de", "para", "por", "em", "até", etc. e.g. "Ela disse para eles trazerem um café PARA ELE." (She asked them to bring a coffee For/TO HIM) -> "Ela disse-lhes para LHE TRAZEREM um café. "(She asked them to bring (to) HIM a coffee). The good thing about these Portuguese Indirect Object Pronouns is that regardless if they are before or after the verb, you don't need to cut any letters to the verb. So you can either say "Ele traz-lhe um café" or "Ele não lhe traz um café". The more erudite a text is or the more educated a person is, it seems that the more likely it is that you'll find these grammar rules applied. As before, let me give you a a couple of examples first and then a few exercises for you to practice. 1. Eu comprei um lápis ao Paulo --> Eu comprei-lhe um lápis. - (I bought him a pencil). 2.Ela mandou um postal para mim --> Ela mandou-me um postal. - She sent me a post card. Now it's time for some exercises and practice these European Portuguese pronouns! 1. Quem disse isso ao Manuel e à Sofia? --> Quem ____________________ isso? 2. Ela trouxe esse livro para nós. --> Ela ____________________ esse livro. 3. Eles já entregaram a carta para a Maria? --> Eles já ________________________ a carta? 4. Nós demos um bonito presente de Natal ao José. --> Nós __________________ um bonito presente de Natal. 5. A Maria ligou para você hoje às 3 horas. A Maria ___________________ hoje às 3 horas. Well, I think you understand this by now. Just before we finish, I must say that there's a further way to shorten the sentences in Portuguese: when we have both, Direct and Indirect Object pronouns together in a sentence. ME + O = MO ---> e.g. Ele deu-mo (He gave it to me). TE + O = TO ---> e.g. Ele deu-to (He gave it to you). LHE + O = LHO ---> e.g. Ele deu-lho (He gave it to him/her). ME + A = MA ---> e.g. Ele deu-ma (He gave it (a feminine object) to me). TE + A = TA ---> e.g. Ele deu-ta (He gave it to you). LHE + A = LHA ---> e.g. Ele deu-lha (He gave it to him/her). Now let´s check how well we did by checking the solutions for the exercises above. 1. Eu vou prepará-lo . 7. Ela já o leu. 1. Quem lhes disse isso. 2. Ela trouxe-nos esse livro. 3. Eles já lhe entregaram a carta. And that's it. 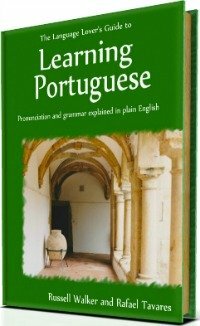 I hope this page will help you improve your understanding of the European Portuguese pronouns, as well as your speaking and/or reading skills in Portuguese. Go Back From European Portuguese Pronouns To Portuguese Grammar. Go Back From European Portuguese Pronouns To Home Page.